Element: Fire – Exertion and Ego recognition fuels identity formation. Mode: Cardinal – Creation, initiation, and decisive action develops identity. 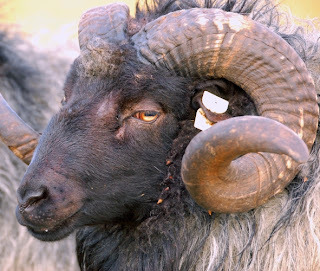 For Aries Ascendant, mastering the art of self assertion helps identity formation. As the modifier of the Sun-Moon blend, Aries rising would add image of physical, social or intellectual strength – consider examples such as Errol Flynn, Billy Graham, Bill Cosby. As Aries is ruled by Mars, the position and aspect of Mars would significantly color the identity development. If Mars is retrograde, the energy “goes in before it goes out.” This suggests internal censorship; we can expect an indirect way of expressing anger or self assertion. If Mars is retrograde in an Aries rising horoscope, this creates added difficulty in identity formation, because straightforward expression of the self assertive drive was somehow impeded. If Mars is located within the 12th house, we can expect similar problem with expressing anger. If Mars is close to the ASC (within 8-10 degrees) from the 12th house, this usually suggests hidden anger. 1) Mars in hard aspect to Saturn may suggest several manifestations: in many cases it suggests doggedness, endurance and industrious nature (ambition strengthening action.) In best cases it leads to resourcefulness and indomitable will – consider examples such as Louis Armstrong, or astrologer/psychotherapist Stephen Arroyo. 2) Mars in hard aspect with Uranus would suggest a highly original, individuated application of energy. For an Aries rising with this aspect, this could mean that one must be courageous enough to pursue an unconventional path in the course of finding his/her true identity: consider Isadora Duncan, a revolutionary dancer who also broke the social code of the time by bearing three children from three different lovers. The shadow manifestation would be the deviant, misfit, or the “rebel without a cause” type of behavior that isolates one from social mainstream. One may feel like an exile as a result. 3) Mars in hard aspect with Neptune would suggest charisma. Aries rising with this aspect may exude this kind of magnetism, as the self image is mixed with aura of mystery or fantasy – examples include Barbra Streisand and John Lennon. In problematic cases, identity formation may be interrupted through bewildering circumstance; blurring of clear self image through drugs or other addictions may lead to unrealistic view of the self. 4) Mars in hard aspect with Pluto would suggest the extremes of passionate action or explosive temper. In an Aries rising with this aspect, finding a purpose that brings out deep passion may be crucial in forming an effective identity (example includes evangelist Oral Roberts). If such purpose is not to be found, the frustrated passion may turn negative, leading to self destructive or tyrannical behaviors. For all of these aspects, soft aspects (trine and sextile) would carry essentially the same meaning as the hard aspect, but they may not be as dramatic in their manifestation. Soft aspect tends to preserve the status quo, whereas hard aspect tends to motivate ongoing development through tension. Hey, I really enjoyed and loved this article. I´m an Aries rising myself, and never find much info about mars aspects in relation to this ascendant. So thank you! I resonate a lot with what you exposed. I have Mars in taurus in the 2nd house opp Pluto in scorpio in the 8th. I also have mars making a trine with neptune wich is conjunct the midheaven. Its also inconjunct with uranus in the 9th (which conjuncts with saturn), its also sextile muy Sun in pisces in the 12th…. square my venus in 10th…. lol, its a lot going on with my mars !! I have a t square with my mars, pluto and venus being the apex planet. Do you have something to say about all this? I resonate specially with what you said about knowing ourselves through discovering which is our ultimate passion in life…. For me, thats astrology, photography and the healing arts. Thank you for sharing about your Mars and Aries Ascendant. A strongly placed Mars like yours necessitates that you are living your life with energy and purpose!